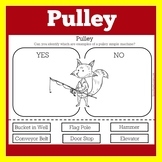 Here is a quick Worksheet on IMA of pulleys. I have also included a lab sheet if you wanted to do the lab yourself. Good Luck. 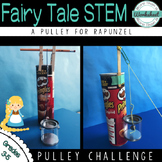 This pulley worksheet helps students to be able to identify the pulley and the weight it lifts, then use the mathematical equation to calculate the mechanical advantage for 3 different scenarios. 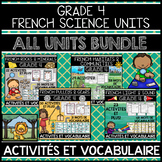 (Answers Included)The worksheet comes in a PDF format, but can also be accessed using Google Slides. These black-line masters support the Foss Levers and Pulleys unit as well as other programs. 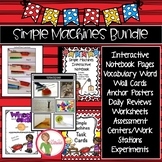 Original activities, vocab resources and quiz included. These are the instruction cards for 6 pulley and gear stations to set up around the room. Kids love the hands on interaction they allow. 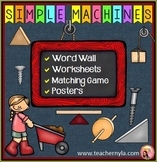 To be used with the Pulleys and Gears Centre - Worksheet. 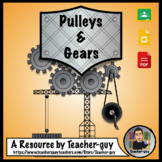 This file is a .pdf that provides basic information for students about pulleys. 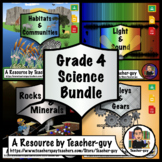 It can be cut around the black rectangle for students to glue in to their science notebooks. 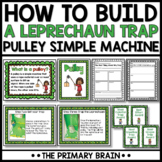 Students can practice highlighting important information while learning about pulleys.